But what if I hadn't backed up? This, of course, has happened to some people, such as the person who posted this question on Quora. He or she had updated without backing up, and was now faced with losing everything. My answer was that there was nothing the person could do, though I pointed out that much of the person's data, such as email, calendar, and contacts, would still be in iCloud and would be restored when he or she logged into iCloud. 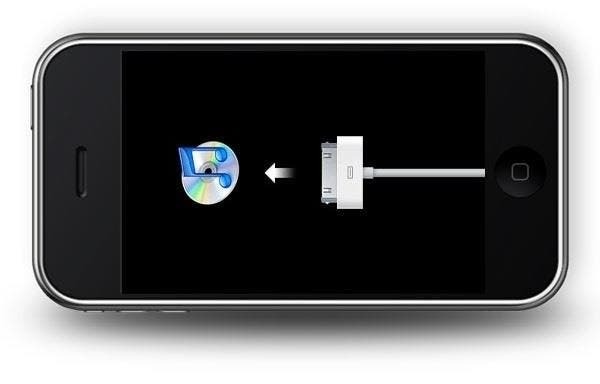 However, it turns out there are other options that apparently can help you recover data from your iPhone or iPad. If you're ever faced with a situation where you need to restore data from an iPhone or iPad that's stuck in recovery mode, then here are some of the possible solutions that others posted in the Quora thread. This answer points to software called iOS Data Recovery and gives detailed step-by-step directions for recovering data. It's commercial software, but a free trial version is available. It's available for both Mac and Windows. One person answering the question had had success with Tenorshare iPhone Data Recovery, a utility that lets one recover data after a jailbreak, iOS update, or factory restore. It's commercial software available for both Mac and Windows, and offers a 90-day money-back guarantee. RecBoot Utility is a free download for Windows and Mad that lets you put your iPhone in or out of recovery mode. It's intended as a tool for jailbreakers, but apparently is also useful for someone who gets stuck in recovery mode. Finally, there's the free Reiboot, reviewed and available for download on CNET. It's a free Windows application that "enables you to resurrect your iPhone if it crashes, gets stuck in a given mode, or experiences a variety of other problems."